I had the opportunity to sit down and chat with Taryn Manning at the Beth Minardi Dinner Party held at the Lion Restaurant in New York City this week. With a fresh hair makeover by Minardi the actress looked stunning. Manning has an extremely busy schedule as an actress, singer, songwriter, DJ and designer. So I had to ask, when does she find time for it all? Taryn has pulled back on a few of her hobbies/interests but says it has been well worth it. 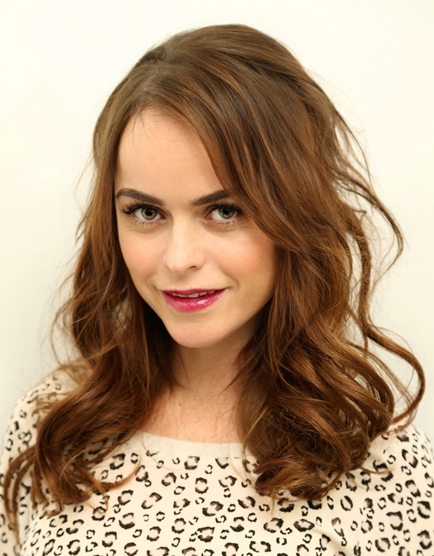 Since moving to New York to film the second season of Orange is the New Black where she portrays the character Tiffany "Pennsatucky" Doggett the actress has found herself at the gym quite often. Manning is not unfamiliar to to staying in good shape, she has always had an athletic background. As a teenager she held the title as Arizona State Champion in Karate. Taryn openly admits that finding time for fitness can be difficult with such a demanding work schedule. She attributes her slim figure to not eating meat. When she is able to fit in a workout she enjoys Pilates and hiking. Taryn is also fond of kickboxing classes and Bikram Yoga, "I love to sweat! It is also good for mediating and calming my brain a bit" says Manning.